-Need to buy drinks? Simply ask “what is the closest grocery store?” and we’ll show you the nearest ones to scroll through. With a quick tap, you’ll be there with the help of turn-by-turn navigation. 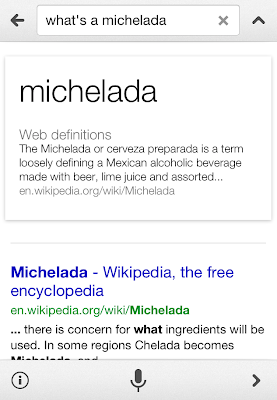 -Maybe you want to make that cocktail that’s like a Bloody Mary but not quite... ask “what’s a michelada?” -- and you’ll both hear and see the ingredients. -Once you’re ready to cook, ask “best chili recipes” and see a range of options, or ask “how do I make guacamole?” and find your way to the best sites to answer your question. Whether you want to impress fellow fans with your sports trivia, or if you are curious about the guy who scored the last touchdown, Google Search can get instant and more complete answers. Ask about your favorite players, teams, and explore a world of related and connected topics as well. 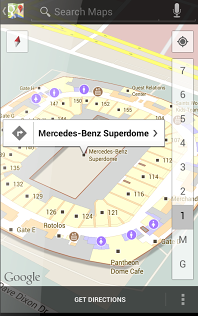 If you’re one of the lucky fans who gets to see the game in person, you can use indoor Google Maps to quickly find your gate, your seat, or some game time snacks at the Superdome. 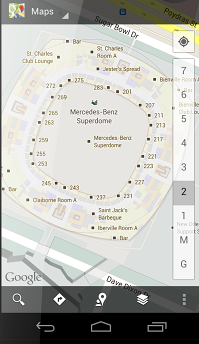 To access the indoor map, just search for “Superdome” in Google Maps on your Android phone and zoom in to see the stadium floor plan. Search the map to find section numbers, bathrooms and points of interest, and use the numbered floor picker (on the right-hand side) to see maps for each floor. 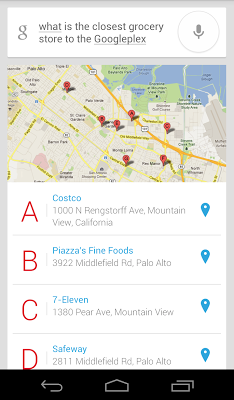 Make sure you’ve downloaded the latest version of Google Maps for Android to access indoor maps. To make it easier to catch up on all the commercials, the YouTube Ad Blitz channel in partnership with ADWEEK will let you watch your favorite ads soon as they air live on TV. You can vote for your favorite ad at the end of the game. To learn more about all the new social, gaming, and mobile features in this year’s gallery, visit our YouTube blog. As all of you football fans prepare for the San Francisco - Baltimore game this Sunday, we thought we’d pull together some ways to make the most of the Big Game with a little help from Google. 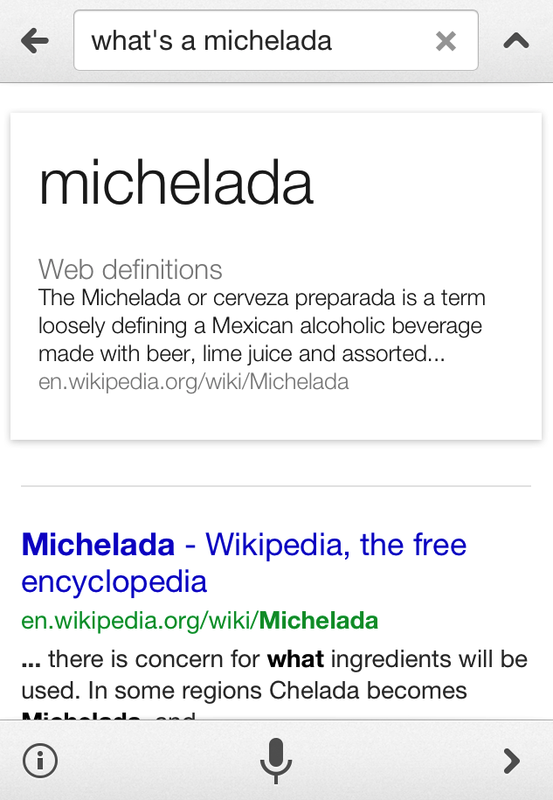 From hosting the perfect party to learning more about your favorite players, check out some tips on ways Google can help.